Supreme Court today unusually opened its doors on a holiday to hear two litigants: Karnataka and Tamil Nadu, on the former's plea to meet an emergency situation. Although the Cauvery dispute between them is more than a century-old, Karnataka claimed that the court's previous order on September 5, asking the state to release 15000 cusecs of water to Tamil Nadu, to mitigate the latter's distress, has led to a crisis worsening its drinking water and irrigation situation. The bench comprising justices Dipak Misra and UU Lalit heard Karnataka's senior counsel, Fali S Nariman patiently for an hour, and Tamil Nadu's counsel, Shekhar Naphade, for half an hour, before concluding that Karnataka's plea for keeping its September 5 order in abeyance, was not justified. 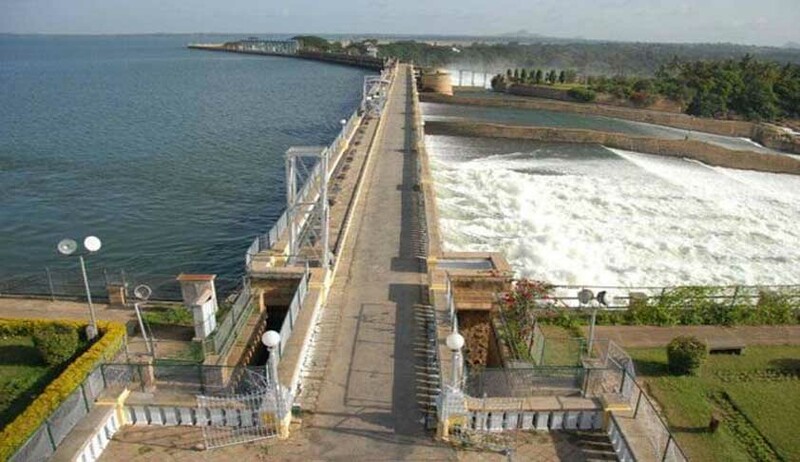 In its September 5 order, which was corrected on September 6, the bench directed Karnataka to release 15000 cusecs of water per day to Tamil Nadu at Biligundulu release point, till the next day of hearing, scheduled on September 16. On September 5, Tamil Nadu wanted 20000 cusecs of warer, while Karnataka was willing to release 10000 cusecs of water per day. Finding both the sides not relenting, the bench fixed 15000 cusecs on its own to resolve the dispute. Today, the bench was extremely reluctant to intervene because of the technical issues involved. Karnataka claimed that Tamil Nadu, despite getting 15000 cusecs of water every day, was actually drawing only one-tenth of the water, opting to increase its storage levels, whereas Karnataka's storage levels are going down. 'There is a mismatch between what Tamil Nadu claims as its agony, and the actual withdrawal of water', is how Nariman described the situation on the ground. This was countered by Tamil Nadu's counsel, who argued that Tamil Nadu needed to store water for everything, but Karnataka does not have to store similarly. Naphade contended that live storage is different from gross storage. While Karnataka's storage is live, Tamil Nadu's is gross, he said. Justice Dipak Misra, at this point, expressed his difficulty in understanding these terms, and wondered whether the decision should not be left to the experts, rather than the bench deciding the matter. Naphade alleged that Karnataka, through this urgent hearing on the matter, attempted to deny to Tamil Nadu what was due to it. Nariman, on the other hand, picked holes in the Cauvery Water Disputes Tribunal's final award, saying it was not possible to anticipate normal and distress years, and determine monthly allocations in advance, as the final award does. Nariman pointed out that the final award said after five years the monthly allocations decided could be reconsidered. But when the five-year period ended in 2012, it was not reconsidered because the notification of the award took place only in 2013, and it was erroneously concluded that the period of five years for reconsideration would begin from 2013. This was countered by Naphade, who read from the final award, that it would take effect only from the date of notification, and not earlier. Does Karnataka want to arrogate to itself the right to unilaterally decide this, he asked. Even assuming that the period of five years was to take effect from 2007 and not 2013, it is the Cauvery Management Board or the protem committee, the Supervisory Committee, in its absence, which could decide any reconsideration of the monthly allocation fixed for June – September, he clarified. Naphade added that even the Supervisory Committee, whose meeting began today in New Delhi on the issue, cannot take away the Supreme Court's jurisdiction to hear the dispute. At this point, Nariman added that the Supervisory Committee will take at least a week to conclude, as its members have to inspect the sites. Naphade responded saying heavens would not fall within a week, when the Supervisory Committee is expected to decide Karnataka's grievance. ''There is no emergency now”, quipped Naphade, and added, if Karnataka's plea is conceded, Tamil Nadu will ask for another special hearing by the bench on Saturday, because “Tamil Nadu will have a serious problem”. Tamil Nadu needs minimum 50 TMC for the purpose of relevant period, when we have to store water, Naphade said. Justice Dipak Misra, at this point, disclosed that the bench would apply, without saying so, the doctrine of compensation. Earlier, Justice Dipak Misra expressed his unhappiness with Karnataka's affidavit, saying it was badly drafted. Nariman offered regret for the same, and owned responsibility for it, but added that the prayers in the affidavit needed to be considered on merits. Nariman's reference to political and law and order problems in the State failed to convince the bench, which refused to consider this as a ground for keeping its earlier order in abeyance, or modifying it. Justice Dipak Misra, then asked whether people, unhappy with the Court's orders, could take law in their hands. “Citizens must accept once an order is issued, executive is bound, and the order should be complied with”, he said. When Nariman pointed out that Karnataka has written to the PM seeking his interference, Justice Dipak Misra retorted: “The Centre has no role”. When Nariman cited a previous order issued by the Court in the 1990s by Justice K.Ramaswamy, which asked the parties to go to the Prime Minister to resolve the dispute, Justice Dipak Misra said, it was fine, if it was judicially mandated. Nariman was trying to justify the extra-judicial remedies which Karnataka tried to exhaust before seeking the urgent hearing of the Court on a holiday. As Justice Dipak Misra dictated the order, he mentioned the bench was modifying the previous order directing Karnataka to release 15000 cusecs of water as 10000 cusecs of water. Immediately, Naphade stood up and began to express his reservations, when Justice Dipak Misra, as if by instinct, immediately modified it as 12000 cusecs of water, to placate Tamil Nadu. As both the counsel appeared satisfied, he went on to dictate the full order.